Each Lexington lamp has a dark walnut wood body with satin steel accents and base. 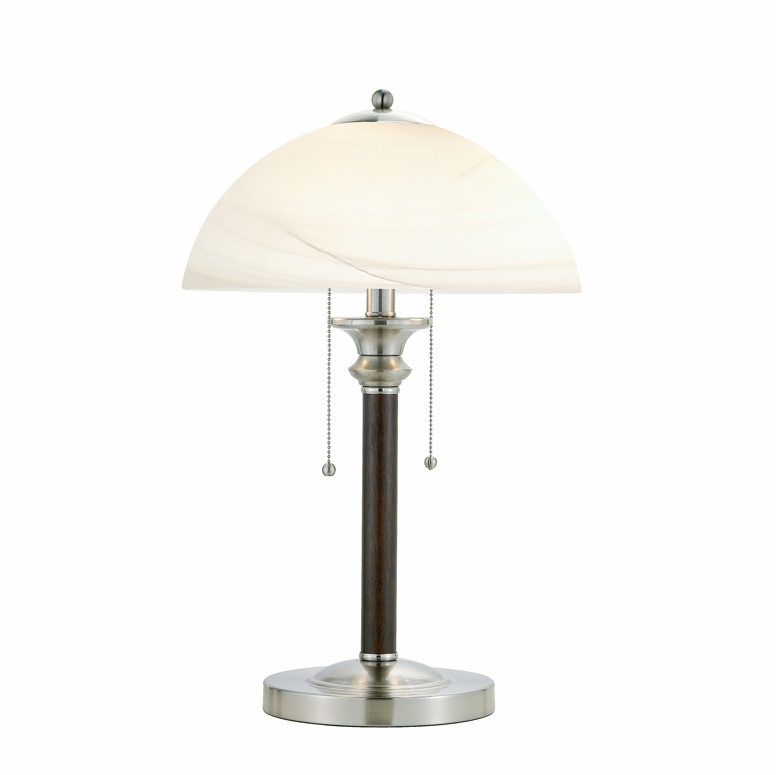 The alabaster frosted glass shade is anchored by a satin steel cap with matching finial. Two sockets each have ball-accented pull chain. 2 x 60 Watt. 22.5� Height, 8.5� Round base. Shade: 6� Height, 13.5� Diameter. Established in 1994, Adesso was formed based on the belief that there was an under-served niche among shoppers who desired a modern high end product at an affordable price. Since the beginning, Adesso has positioned themselves as a leader in the RTA and Lighting category, providing the Adesso customer with a well-made, thoughtfully designed product, at a price that is suitable for the common shopper. Adesso, well known for its lighting, has added RTA furniture, including mirrors, room dividers coat racks, and many more items, all offered at the same low price principle the company was founded on.